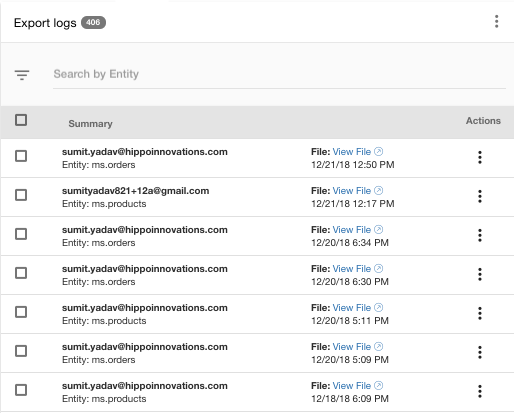 Export logs allow you to keep track of the export processes in your store. Once you have exported a file, you can view the general file data in the export logs. 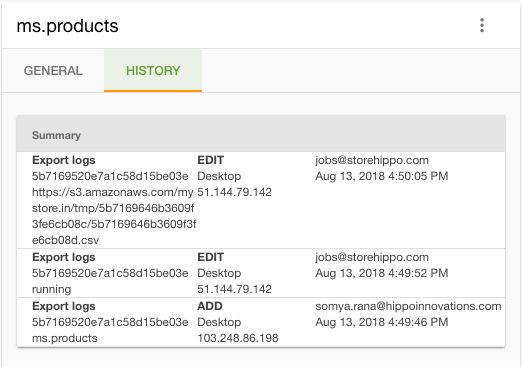 Go to Logs > Export Logs section in StoreHippo Admin Panel to access the export logs. The general tab shows a detailed summary of the export log record. Entity: The name of the entity in which the file is imported. Status: The status of the import log record, whether it is complete or failed. Created on: The date and time on which the file was imported. Send to: The email id to which the file is sent. Number of Records: The total number of records in the file. Start marker: The starting index for the exported file. 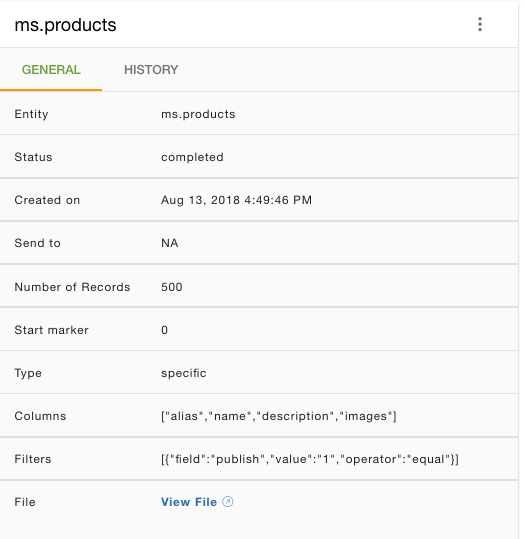 Type: The type if all columns or specific columns were selected. Columns: The specific columns that were exported. Filters: The filters applied to the exported file. File: The downloadable link of the file exported. The history tab contains the record of the export process.